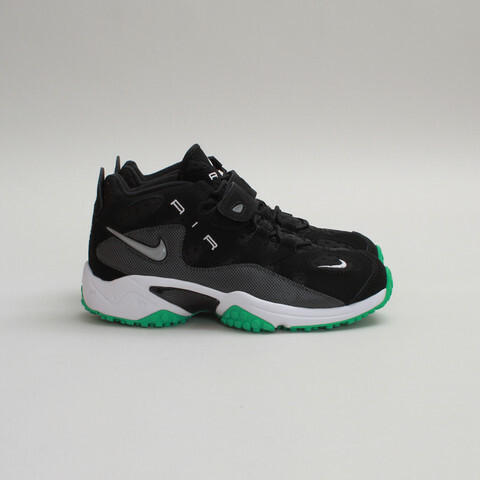 The retro Nike Air Turf Raider popped up at select retailers last weekend, arriving in a great Black / Wolf Grey / Gamma Green colorway. The retro Nike Air Turf Raider popped up at select retailers last weekend, arriving in a great Black / Wolf Grey / Gamma Green colorway. 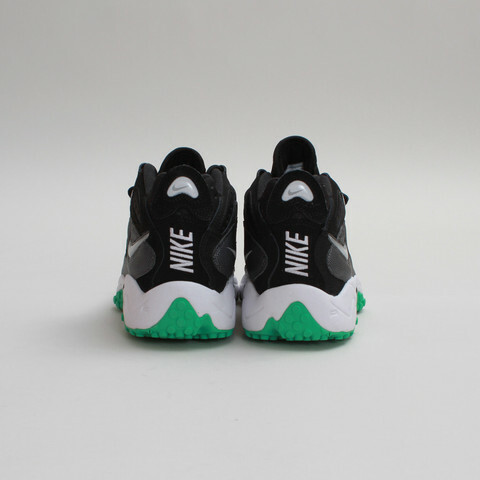 The mid-90s trainer features a black durabuck upper with white and grey accents, all on top of a white midsole and bright green turf outsole. 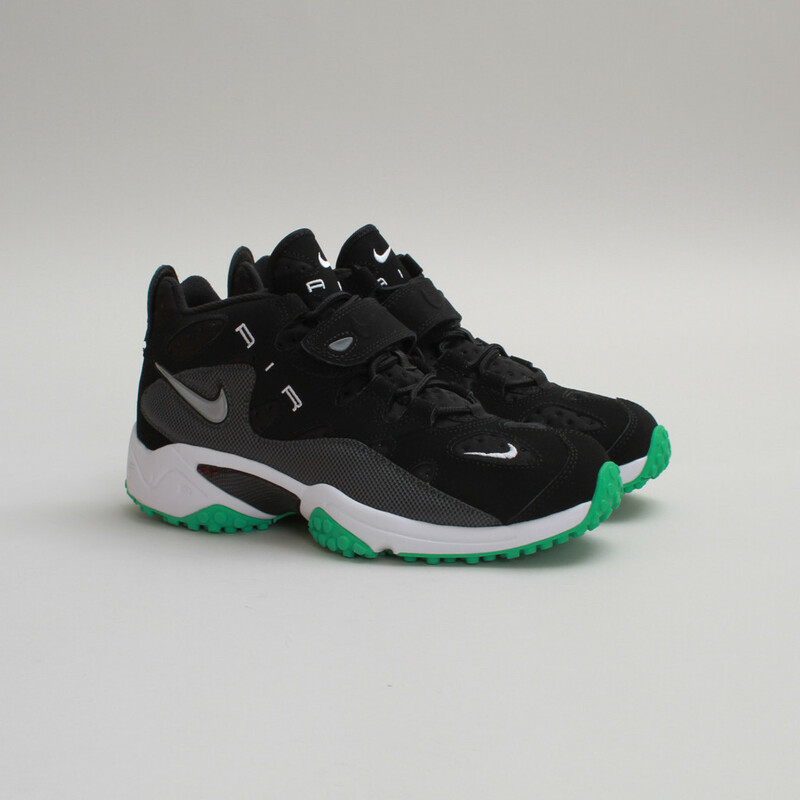 The Nike Air Turf Raider is available now at Cncpts.